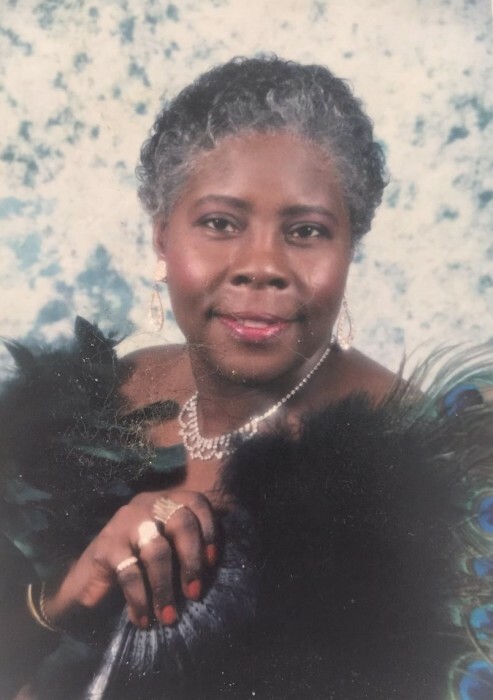 In profound sorrow, the Britt Funeral Home and Cremation Service join with the Smith Family to announce that Mrs. Pencie Rosita Becton Savage, of Kinston, North Carolina, at age 71, has completed her earthly journey. Mrs. Savage transitioned from labor to reward on Tuesday, February 12, 2019 at the UNC Lenoir Health Care Center in Kinston, North Carolina. She was born in Brooklyn, New York on April 3, 1947 to the late Mr. Henry Taylor and Mrs. Minnie Becton Taylor. Rosita received her education in the Kings County, New York Public School System and she attended Frink High School in LaGrange NC. A celebration of life service will be conducted on Sunday, February 17, 2019 at 3:00 p.m. in the Mount Calvary Free Will Baptist Church, 602 South Wooten Street, La Grange, North Carolina 28551. Bishop Johnny E. Reddick will officiate. Interment will follow the celebration of life service in the Fairview Memorial Park Cemetery, 195 West James Street, La Grange, North Carolina 28551. Also, a public viewing will be held on Saturday, February 16, 2019 from 4:00 p.m. to 7:00 p.m. in the Britt Funeral Home Memorial Chapel, 414 East Washington Street, La Grange, North Carolina. She leaves to cherish her loving and precious memories to her daughter, Mrs. Endres “Peaches” Smith and her most caring son-in-law, Frank Smith of Kinston, North Carolina; her grandchildren, La Nika S. Stephens and husband, Trell of Florida and Ja Lesa J. Smith of the home; her great grandchildren, Jaedon Sisk and Amiyah Stephens of Florida, and Royal Hodges of the home, her sisters, Mrs. Betty J. Taylor and husband, Burton of Florida, Ms. Scherry Furse, Ms. Jo Ann Taylor , Ms. Loretta Taylor-Bennett and husband, Reggie all of Brooklyn, New York; her brothers, Brendford Darden of the home, David L. Taylor of Brooklyn, New York, Herman Darden of Dallas, Texas, Junius Darden, Jr. of Arizona and Edmond Darden of Washington, DC; her aunt, Mrs. Etta Becton of La Grange, North Carolina and Mrs. Thelma White of Brooklyn, New York; an aunt of her choosing, Mrs. Clara Davis of La Grange, North Carolina; her goddaughters, Ms. Cynthia Corbitt of La Grange, North Carolina and Ms. Glenda McNell of Kinston, North Carolina; her honorary sister, Ms. Nancy Jarman of Princeton, North Carolina; a host of nieces, nephews, cousins, other relatives and friends. On Sunday, February 17, 2019, the family members and friends will assemble at the residence of Mr. and Mrs. Frank Smith, 1412 Hardee Road, Kinston, North Carolina at 1:00 p.m. in preparation for the funeral procession. Floral arrangements may be delivered on Saturday morning, February 16, 2019 beginning at 9:00 a.m. through 12:00 p.m. to Britt Funeral Home and Cremation Service, 414 East Washington Street, La Grange, North Carolina.